We provide a mobile foodbank service throughout Stirlingshire to those who cannot get to a foodbank for either financial, physical or mental health reasons. Each food pack contains the staples—dried and tinned foods—to feed an individual or family for 3–4 days. We rely almost entirely on the local community to donate these items. We purchase fresh fruit and vegetables for each client from community donations. We also try to include fresh produce and bread as often as we can. Each week we provide a recipe card and the ingredients needed at the Foodbanks which clients can take home if they wish. We encourage clients to improve or indeed learn basic cooking skills. Around 300 people, a third of whom are children, receive emergency food from our Start Up Foodbanks each week. 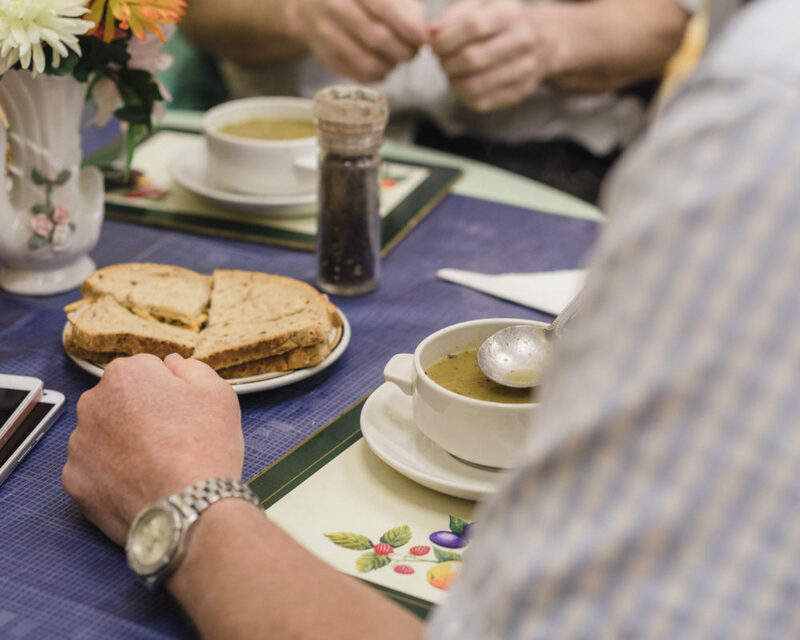 We provide a lifeline to many who would otherwise go hungry, cold or fall into debt. For those in financial difficulties, due to circumstance or health issues, getting back on your feet can feel like an uphill struggle. With around half of all people who attend our foodbanks returning repeatedly, it became clear people were finding it increasingly difficult to access the help they needed to address their long-term causes of difficulty. For many, having someone to talk to is as important as practical help and emergency food. At each Foodbank we have trained volunteers who spend time listening to and talking with people. The impact of someone taking the time to listen without judgement and with empathy can make a huge difference. We seek to empower people and signpost them to other services to provide tailored help, where appropriate. We work in partnership with a number of local organisations to do this. An advisor from Citizens Advice Bureau attends each Foodbank and provides support and advice to our clients, as required. Our Start Up Support service provides the time, place and space for people to explore how to improve their situation through access to a range of services including money advice, fuel poverty advice, addiction issues and social isolation. We run a number of initiatives and collaborate with other local organisations to provide as much support to those experiencing hardship in our local community as possible. For example we invite clients to an annual Christmas meal and we work in collaboration with other third sector organisations to provide clients with cookery classes. Calm and relaxed—no pressure in an already stressful situation. Can speak to people and share experiences. 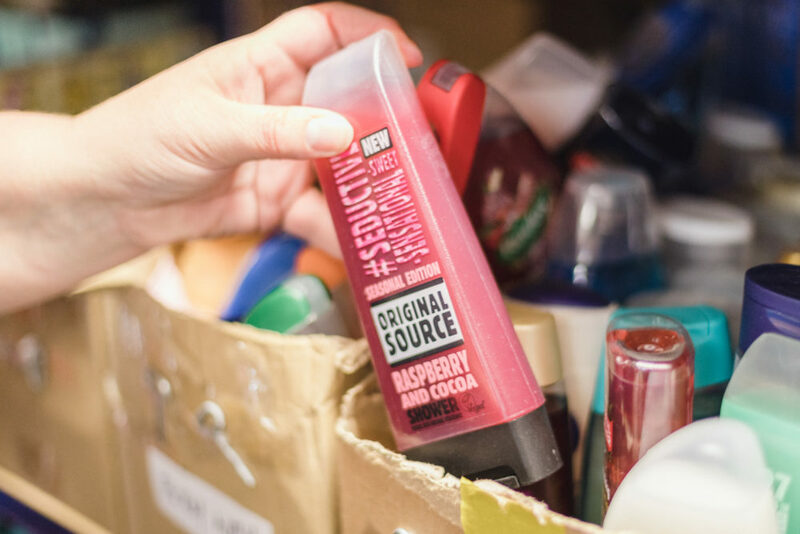 Helper Packs are provided to people who are commencing new tenancies, following homelessness, a crisis or significant change to their personal situation such as those events that can lead to someone requiring our Foodbank services. For many people who have been homeless, it can be daunting to take on a new tenancy. A house can seem very empty, and the cost of purchasing the things you need to turn it into a home can be out with the reach of many. By providing the basics we are able to take away some of these concerns, help people settle in, and allow them to focus on the challenges they have rather than trying to cope without the practical basics many of us take for granted. It can be supplemented with a kettle, toaster, microwave, towels, duvet, pillows and bed linen as required. Starter Packs are provided in conjunction with Stirling Council Homeless Housing Team. We also provide Emergency and Toiletry Packs. Around 200 properties are concurrently needed by people in Stirlingshire who are homeless or in temporary accommodation at any one time. For them, a pack of emergency food to ensure they can eat that day—without cooking facilities—until further help can be provided can make a big difference. Clients receiving starter packs or food parcels can also receive a toiletries pack. Feminine hygiene products are available to any client that requires them. The Start Up Helper Packs which Start Up Stirling provide are invaluable to our clients. Not only are the contents practical but they are symbolic of a fresh start for many people.